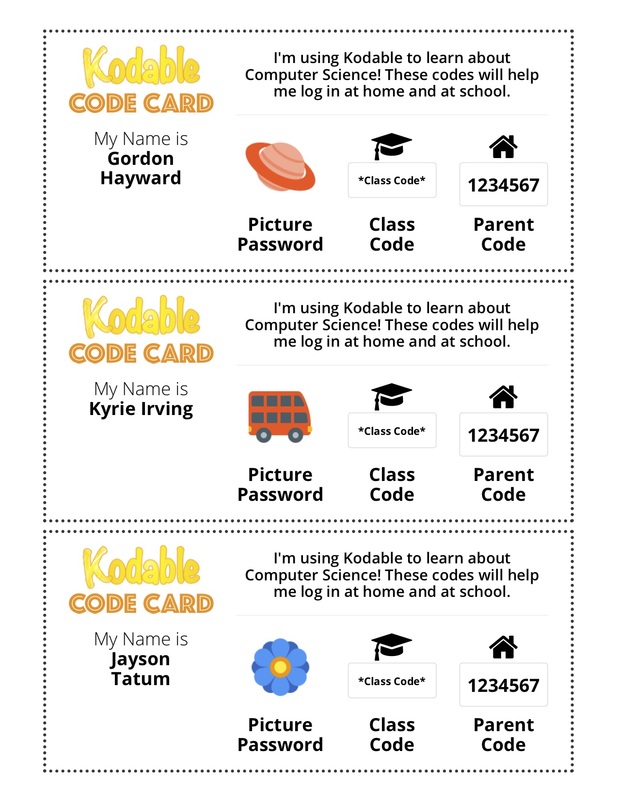 Code Cards are the best way for students to remember how to log in to Kodable and to extend learning at home. We know how much of a struggle device login can be for teachers, so we created Code Cards as a one-stop shop for student login information. Just print these off and hand them to your students and they'll never forget how to access Kodable! Code Cards are free and available to all teachers. What is on a Code Card? How do I access my Code Cards? Code Cards can be printed or downloaded directly from your teacher dashboard. Code Cards can easily be generated for a class by going to the 'Students' section of your teacher dashboard and clicking the 'Print Login Instructions for All Students' button. A Code Card can be generated for all of the students in a class by clicking on the 'Students' section of your class dashboard (visible after selecting a class), and then clicking the 'Print Login Instructions' button. 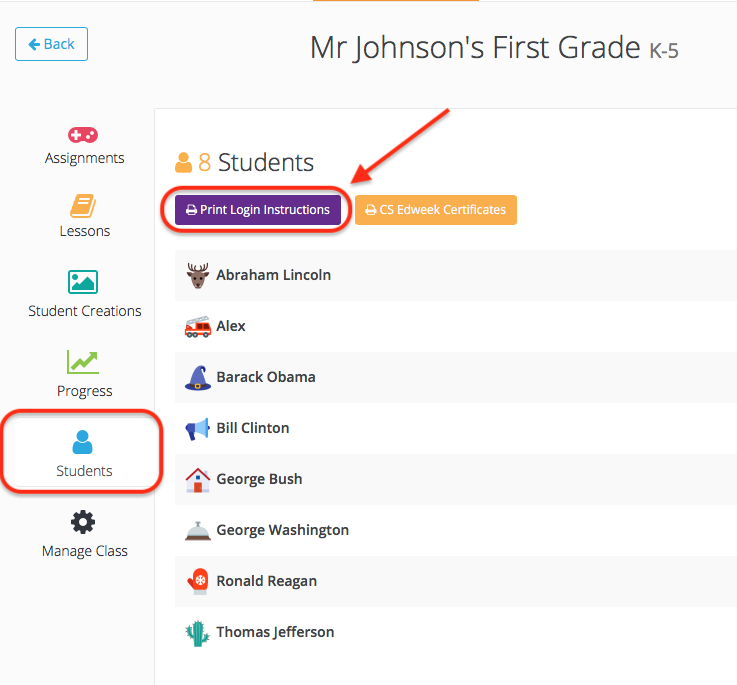 A Code Cards can be generated for a single student by clicking on the 'Print Login Instructions' button next to your student on the 'Students' section of your teacher dashboard or the class roster page when viewing a single class.